Goals. We all need them, and we love to make them. But we rarely achieve them. Why is that? I know a few people that have no goals in their lives. If you have no destination, why are you taking a journey? I shared a few of my goals for this year with you all in my "Things I Want to Accomplish by Age 22" post. 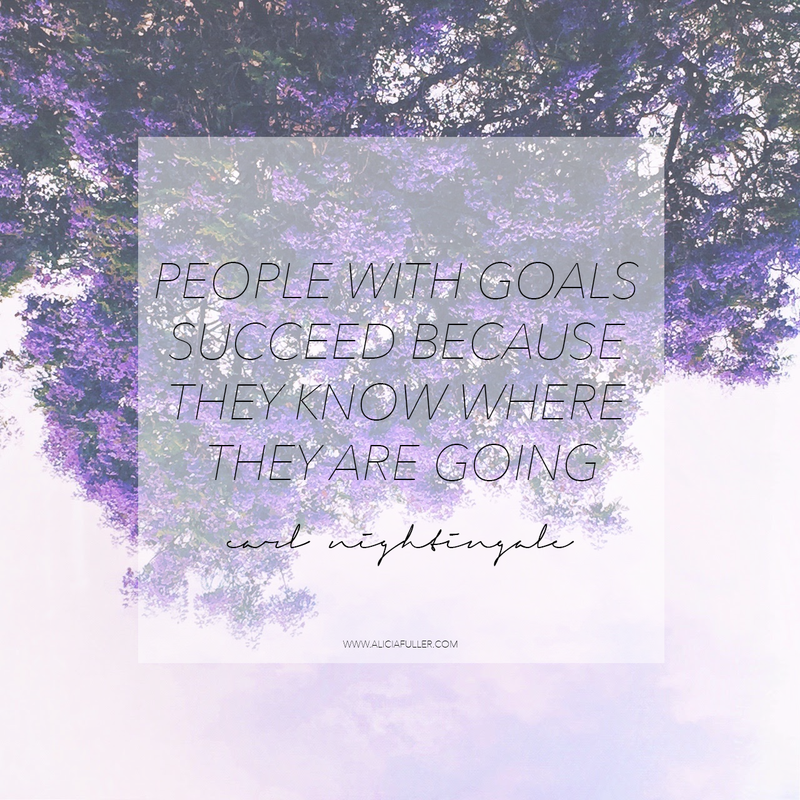 I believe it's important to set goals so you have something to work towards, and a destination to reach. I'm a "make a to-do list for every occasion" kind of girl. My to-do lists are also like mini-goal lists for me. Once I check off a thing on my list, I feel great about it. One of my favorite productivity apps is called Wunderlist. I'm sure you've heard of it at one point in time (if you haven't, download it ASAP!). It's available in the Mac App Store as well as the App Store on your iPhone. It's great because it syncs up between devices, and you can also share lists with other users. I made a grocery list on the app and was able to share it with the other members of my household so they could add onto the list, and I could see their updates in real-time while I was shopping. It's great! I set a goal for myself when I first started college - it was to maintain a 4.0 GPA. So far, I have two years under my belt, and a very strong 4.0 GPA. It makes me feel great that I can set my mind to something and accomplish it. When you set goals for yourself, you are able to have a visual and see your goal written down. This way you are putting it into the universe, and chances are you will actually focus on accomplishing it. My suggestion for setting goals is to start small, and make a list. Whether you post it on your blog, write a note on your phone, or write it in your personal journal, make it so that you can see it. Look at your goal everyday until you have achieved it, then cross it off of your list and move onto the next one.